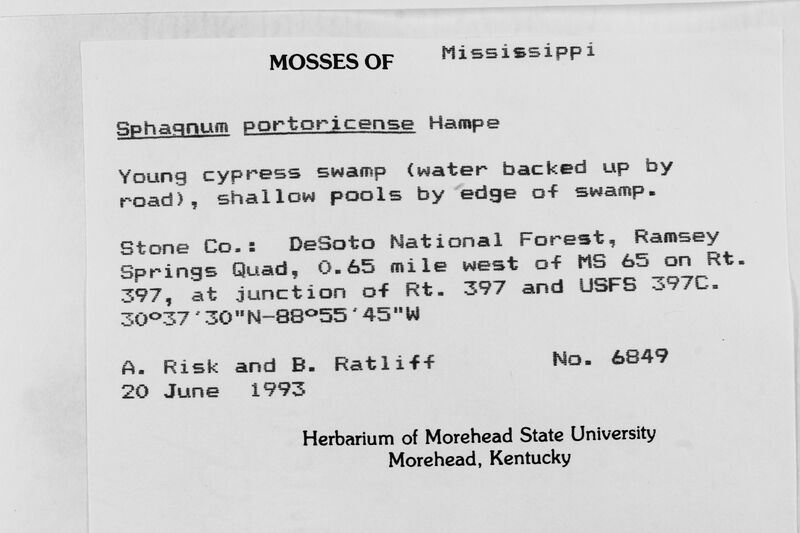 Locality: United States, Mississippi, Stone, DeSoto National Forest, 0.65 mile west of MS 65 on Rt. 397, at junction of Rt. 397 and USFS 397C.